- Multi " award winner - CBC Rising Star Award, Best Produced Album, Keeper of the Spirit Award, and Country Album of the Year , Rock Album of the year. Aboriginal Performer of the year just to name a few. Kimberley Dawn is a powerful voice. To her friends, her powerful voice is known for speaking out for anyone or any community in need. To Manitoba radio listeners, that same powerful voice is known for her on air antics " sharing both informative and “always entertaining” information in current community and music news as a radio DJ at both NCI FM and QX104 throughout the years. But most of all, to her music family and fan base " she is known for her powerhouse vocals as the incredible artist that she is! This multi award winning Aboriginal singer has been a fighter and a survivor in this ever changing music industry. Relentlessly pursuing her dream of singing on stage with a band that is more like family, and for an audience full of amazing and supportive fans, this dream has driven her to get back up and dust herself off whenever this uncharted path knocked her down. And her determination has paid off! With 5 albums under her belt, she is about to hit the road once again to promote her latest album project "Til The Cowboys Come Home”. Her first single of the same name, has already hit national radio! And her video for this single has been a popular view on YouTube, gaining more fans every day! Kimberley Dawn can draw you in with her heartfelt ballads, or inspire you as her music speaks of her aboriginal roots. Before the night is through, she'll have you dancing and singing along as she sings a sassy " tongue in cheek " cowgirl party song! From aboriginal, to country, and a touch of rock " she'ss got it covered! Kimberley Dawn can deliver an entertainment packed evening with her relatable banter of love and life stories as she introduces her songs, followed by a powerful vocal performance night after night. Kimberley Dawn is...a powerful voice. Kimberley Dawn is a multi-award winning Canadian Country Music Artist. She released her debut album “I'm Going Home” in 2003. The inaugural work earned her a Rising Star Award at the Canadi- an Aboriginal Music Awards, Country Album of the year at the Indian Summer Music Awards and a nomination for Best Country album at the Western Canadian Music Awards. 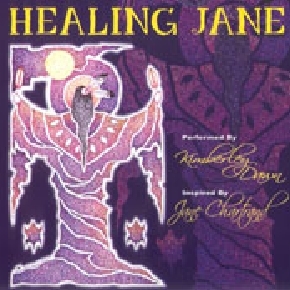 Kimberley Dawns second album was written by Jane Chartrand "“Healing Jane” was released in 2005 and won Best Produced Album, and the Keeper of the Spirit Award at the Canadian Ab- original Music Awards. 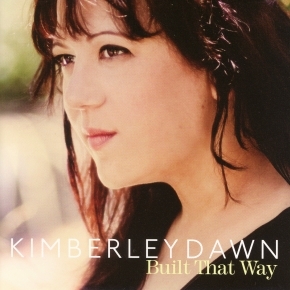 In 2009, Kimberley Dawn kicked it up a notch and collaborated with amazing writers like the Legendary Ray St. Germain and Canadian country music super stars Chris Thorsteinson and Dave Wasyliw from the band Doc Walker. The new sound earned Kimberley Dawn Best Rock Album at the Indian Summer Music Awards held in Milwaukee, Wisconsin, USA. She also took home single of the year for her song “Spirit of our People”. Over the years Kimberley Dawn has made a name for herself in Canadas Country Music scene and has always made sure to remem- ber her roots and be a part of her community. While pursuing her music career, Kimberley Dawn also worked as an on-air radio host at NCI FM and later QX-104 FM. She'ss also honoured to have shared the stage with some of the biggest country music stars of today including, Carrie Underwood, Reba, Randy Houser, Florida Georgia Line, Thompson Square, Doc Walker, Ray St Germain, Randy Bachman and Aaron Pritchett. Now, Kimberley Dawns back in the saddle again having just re- leased her 4th studio album, “Til the Cowboys Come Home” along with a music video for the single which is available on YouTube. It's already earned her a nomination for Best Country Album at the Indigenous Music Awards this past September and won her the Aboriginal Country Music Award at the 2015 Manitoba Country Music Awards. "Till the Cowboys Come Home"